With a projected top speed of 800 miles per hour and an annual capacity of 15 million passengers, it's no surprise SpaceX's open-sourced Hyperloop One transportation system has the full attention of skeptical, sanguine, and student engineers worldwide. And despite facing significant regulatory and fiscal challenges, the Hyperloop continues to make progress and headlines on an almost daily basis. On May 9, Hyperloop Transportation Technologies (HTT) announced plans to utilize passive magnetic levitation as its base technology. Both cheaper and safer than active magnetic levitation systems, the successfully tested system completely negates the need for power stations on Hyperloop routes, significantly reducing infrastructure costs. Passive magnetic levitation also ensures safety during power loss, explains COO of HTT Bibop Gresta,“[…] if any type of power failure occurs, Hyperloop pods would continue to levitate and only after reaching minimal speed touch the ground." "...from Los Angeles to San Francisco in a mere half hour." The very next day, Hyperloop One proudly premiered a miniature version of the electric motor that may one day get travelers from Los Angeles to San Francisco in a mere half hour. Despite lasting only 12 seconds , the rapidly accelerating supersonic sled drew parallels to the projects progression, and threw a little sand in the face of some of its most vehement naysayers. 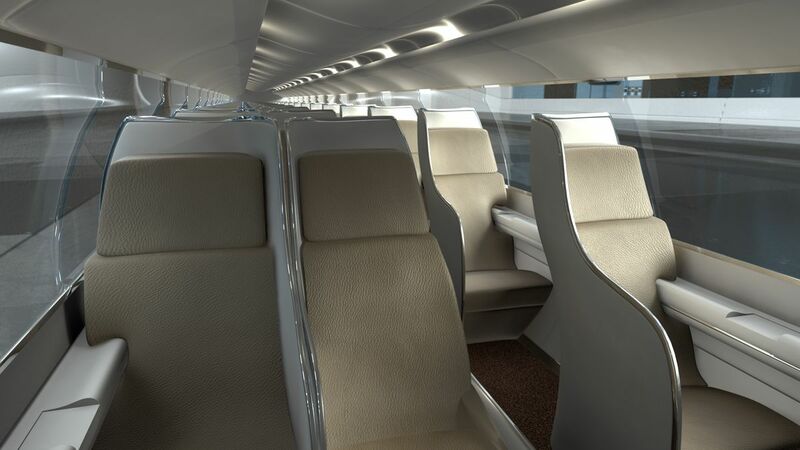 And on May 24, HTT previewed initial interior concepts for their passenger pods. Although seemingly rigid and bleakly futuristic, the public needs to remember that apart from regulations and money, the greatest challenge the Hyperloop faces is gravity. At 700 miles per hour, even the slightest turn will result in passengers being subjected to significant gravitational force, so rigidity is simply a bi-product of keeping both speed and safety as top priorities. So what's next for the progressive, optimistic, and open-sourced collaboration of some of the world's brightest minds? Only time will tell. But fans of the movement will be flocking to California in August where 22 shortlisted student teams will have the opportunity to impress key stakeholders when their prototypes take to the Hyperloop test track.